In current times, many roof waterproofing products are available to waterproof a flat roof. 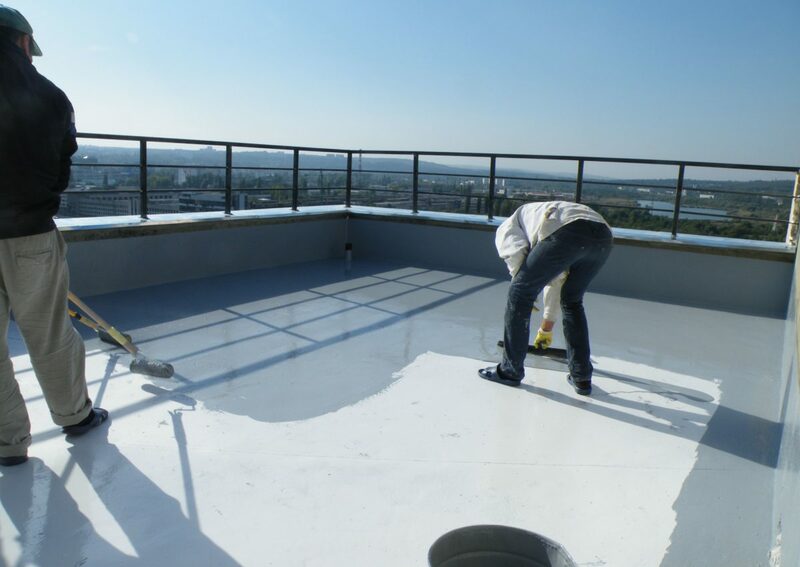 In the past though, liquid applied membranes were the most feasible, economical and environmentally friendly solution for flat roof waterproofing. The roof waterproofing products sold today are commonly termed as roof coatings. Let us have a look at general categories of liquid applied membranes used for roofing. Note that each of these categories includes many varieties of products. While there is a distinctive difference between liquid applied roof systems and maintenance coatings, the most common fluid products for both the categories are silicone, urethane, elastomeric, polyurethane etc. Most of the roof coatings that we use today provide the benefit of white colour that lower the temperature of the roof and helps in redirecting UV rays away. This characteristic of the roof coating is termed as a cool roof. Also, recovering the existing roofs with the help of liquid applied solutions gives a significant environmental benefit of not having to add thousands of tons of scrapped roofing materials to the landfills every year. Let us have a look at some critical aspects to keep in mind while choosing an appropriate roof waterproofing solution for flat roofs. Acrylics and silicones are the most used liquid waterproofing membrane, accounting for almost half of the roofs waterproofed. Acrylics are the cheapest and comes with low volatile organic compounds. Additionally, they are comfortable to apply and clean and have a simple re-coating process. Most acrylic roof waterproofing systems involve application of many layers of coating along with fabric reinforcement, which lengthens the project. The main drawback of acrylic roof waterproofing products apart from them being time-consuming is that they re-emulsify in water that limits their operability on roofs with ponding water. This is a big drawback as a vast majority of existing flat roofs do not have proper drainage systems. Most silicone waterproofing membranes are relatively easy to install and also offer excellent resistance to water stagnation. One significant disadvantage though is that silicone coatings cannot be recoated with any other liquid membrane products. Also, re-coating with the same silicone is a cumbersome process, which is of high-cost and labour-intensive. Again, limitations due to weather conditions is another important aspect that building and homeowners should take into consideration in choosing roof waterproofing products. Previous Post2 year baby food chart your baby will love!